Going by the new price, the Vivo V9 Pro is positioned against the Mi A2 which has been dominating this price range with a superior Snapdragon 660 chip. 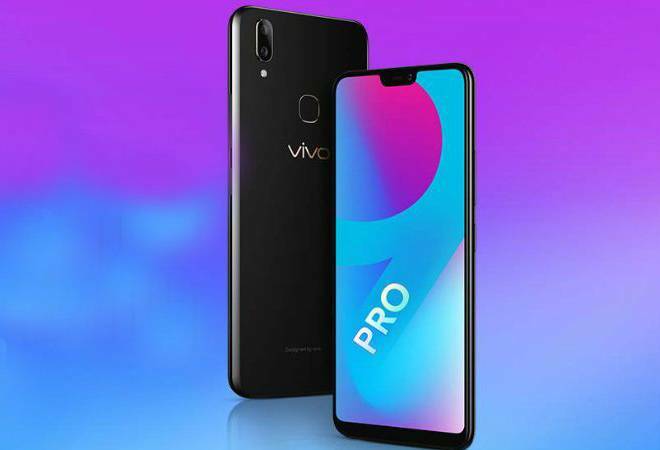 Vivo has launched the Vivo V9 Pro, the third in the line after Vivo V9 and Vivo V9 Youth. The new phone is priced above the other two and is selling at special price of Rs 17,990 for Amazon's upcoming Great Indian Sale. However, the company has set the MRP at 19,990. The price of the device may go up on a later date.Going by the new price, the Vivo V9 Pro is positioned against the Mi A2 which has been dominating this price range with a superior Snapdragon 660 chip. The Vivo V9 Pro features the same chipset and also comes with 6GB of RAM. The Vivo V9 Pro's processor is coupled with Adreno 512 GPU. In terms of storage, the device gets 64GB of internal memory and a dedicated MicroSD card slot for further expansion. The display is a 6.3-inch unit with FullHD+ resolution. Vivo claims the device has a screen to body ratio of over 90 per cent. The smartphone comes with a dual camera setup with one 13 MP primary sensor with an aperture of f/2.2 and a secondary 2MP sensor with f/2.0 aperture. Vivo continues with its emphasis on front camera, the front facing snapper comes with one 16 MP sensor with an f/2.0 aperture. The selfie camera will get features like AI selfie lighting and an AI Beauty mode. The Vivo V9 Pro comes with a dual SIM slot apart from a dedicated MicroSD card slot. Apart from 4G VoLTE, dual-band Wi-Fi, Bluetooth v4.2, GPS, A-GPS and a 3.5mm headphone jack, and a Micro USB port. The device will get a battery unit with 3,260 mAh unit.